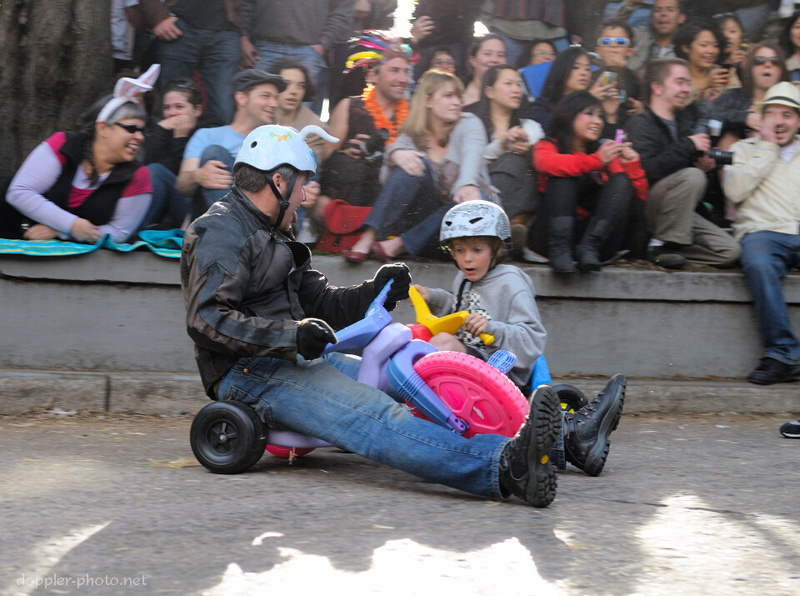 As is typical, I spent this past Easter taking photos of the Easter bunnies and other denizens of BYOBW 2012. 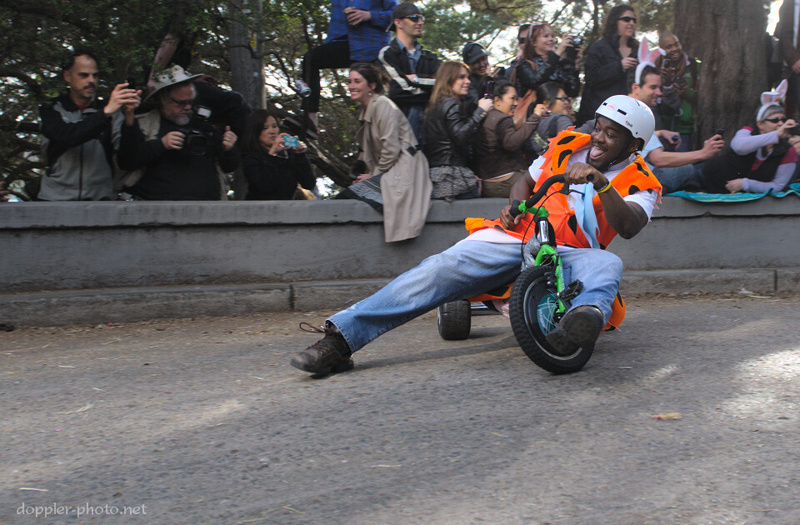 For those not familiar BYOBW is Bring Your Own Big Wheel, an event where big people procure children's' toys and ride them down a hill multiple times. As might be expected, the integrity of the vehicles is not guaranteed. 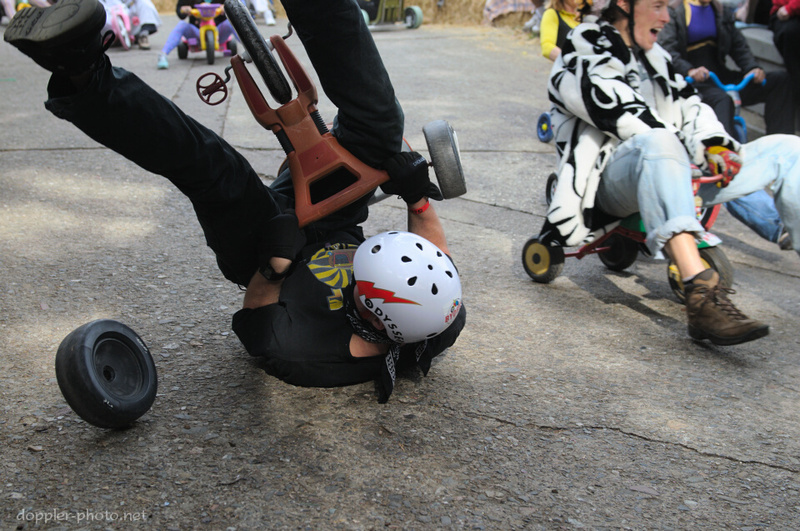 Above, a guy tumbles after high-siding just after one of his wheels detached from his big wheel. 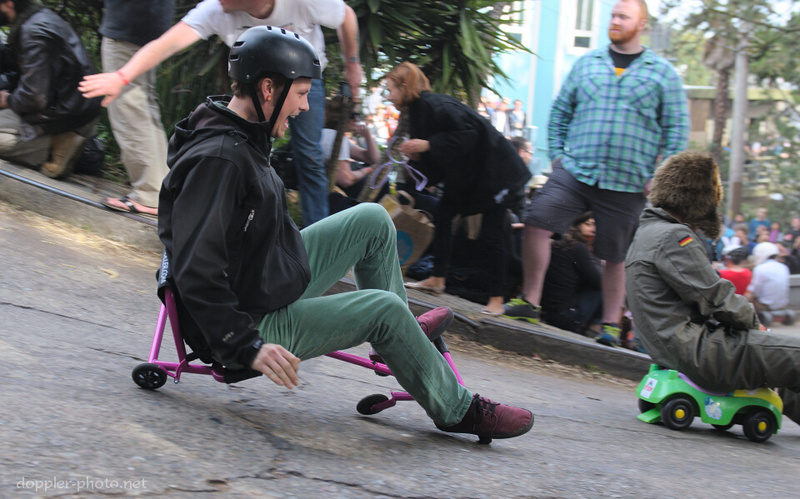 A person prepares to eject after cornering a little too aggressively. Level Up! A boy looks on as a man proceeds backwards down the course. A Fred Flintstone lookalike drifts around one of the corners. 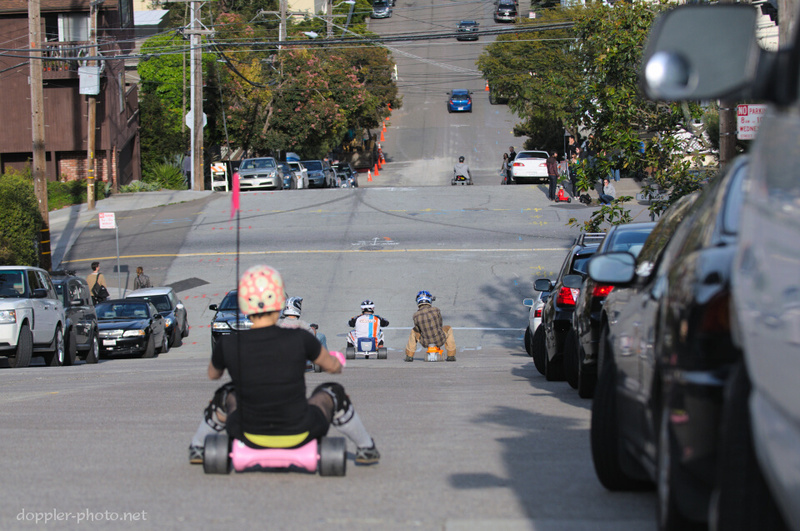 Like a flock of children avoiding their bedtime, a group of riders take one last ride down 20th street before putting their big wheels away.